Kānyī (カーニィー ) are crab enemies that appear in Donkey Kong on the Game Boy. They make their first appearance in Stage 3-2 on the Ship. Kānyī walk slowly from side to side and sometimes stop and hide inside their shell for several moments. Mario can stand on them fine, but if he walks into them from the side, he loses a life. 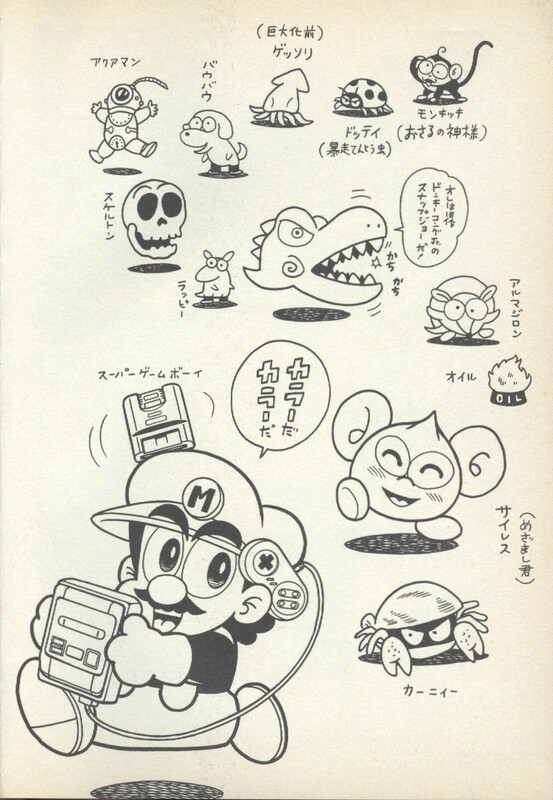 Kānyī enemies also try to defeat Mario themselves by reaching out to him with their extendable claws. They can be picked up and hurled, but they are otherwise tough, as they survive every time they crash into an enemy after getting thrown. Likewise, any object or enemy that is thrown into a Kānyī will ricochet into the enemy's shell. On the other hand, a Kānyī can be destroyed by plummeting fruit. Alternatively, it despawns from the stage it appears in provided it is thrown into a bottomless body of water; nonetheless, the player will not receive any points upon performing this action. The species' name is derived from the Japanese word "kani", which translates into "crab". This page was last edited on July 14, 2018, at 09:13.